Unexpected cold water plunges while kayaking or stand-up paddle boarding won't slow you down in the lightweight and superwarm O'Neill Men's 4/3 wet suit that protects you from hypothermia without restricting your active range of motion. 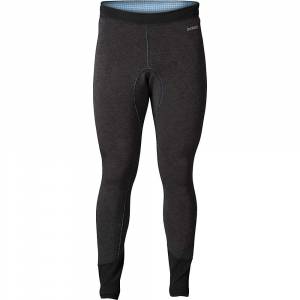 UltraFlex DS neoprene. 4 mm neoprene thickness over your core for maximum warmth. 3 mm for legs and arms for freedom of movement. UltraFlex Firewall insulation over chest wicks moisture and increases warmth in core area. Krypto kneepads resist abrasion and extend the life of the wet suit. Exterior Fluid Seam Weld seals out water and eliminates all chafe points. Covert Code Red back entrance zipper is coated with urethane to keep water out. Double Super Seal neck features a smooth interior lining and a secure lockdown to keep water out. Lumbar Seamless Design prevents chafing while you're seated. External key pocket on right calf. Imported. 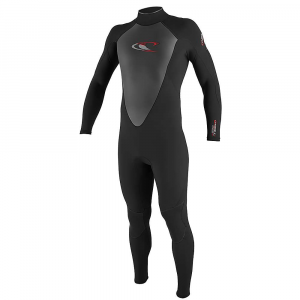 For those who still love surfing in late fall into early spring, east or west coast, this wetsuit comes equipped with neoprene fabric that provides warmth, flexibility, and stretch when you are catching the big ones!. . . UltraFlex DS neoprene with UltraFlex Firewall chest and back panels. Sidewinder S-Curve seams enhance mobility. Single Fluid weld. 3/4-length back zipper. Double Super Seal neck offers adjustability and comfort. Krypto kneepads provide durability. Handcuff wrist seals. LSD lumbar seamless design. Covert Code Red zipper keeps water out. External key pocket. 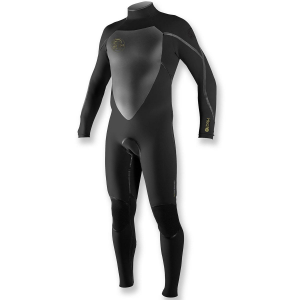 Warm, comfortable and easy to get into, the O'Neill Heat 4/3mm full wetsuit allows you to enjoy cool-water waves without the chills.